Zombies And Toys: Birth of the Living Dead - check out the trailer NOW ! 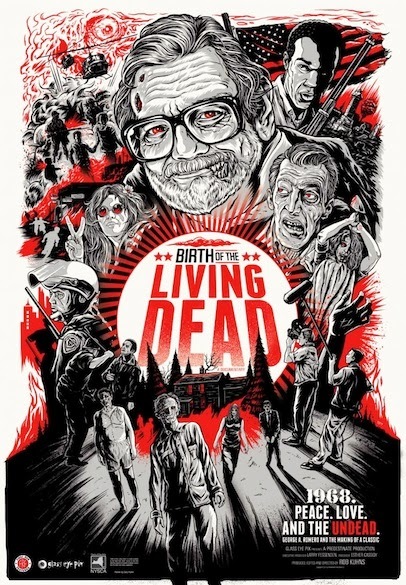 Birth of the Living Dead - check out the trailer NOW ! Looking for the lowdown on one (if not the greatest) zombie movie of all time ? Do you have a hunger for all of the knowledge that was harnessed for the creation of George A. Romero's quintessential undead classic, Night of the Living Dead ? 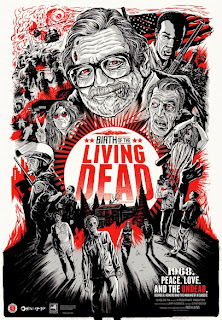 Then get ready to feast your orbital organs on the newest feature from Glass Eye Pix entitled Birth of the Living Dead. Rob Kuhns & Larry Fessenden have teamed up to present this documentary about all of the trials & tribulations that faced Mr. Romero and his zombie squad up to and during the filming of the movie itself. This will surely give the Living Dead fans a feel for what the powers that be were up against, and how the horrors of war during the 1960's played a huge part with the script inspiration. Fans in the New York area can check this out first hand on November 6th at the IFC Center, while the rest of the zombie nation can view it the same day on iTunes - give the trailer a look and see if your not ready to peel your skin off with anticipation.